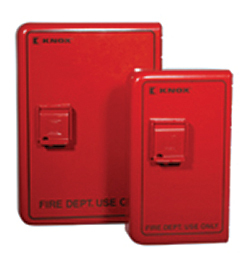 Mini Elevator Key Box holds up to eight standard keys and can be keyed to existing Knox system. Steel box is UL 1037-listed and meets latest International Fire Code standard. Available in four colors with or without "Fire Dept Use Only" banner.